Last view: 1084 days Frantik, those screenshots look awesome. Can't wait to see more! Good luck with the rest of your project! Mineyl, all of those graphics look awesome, but the bridges don't look right... they sort of go into the water. But that's definitely more than what I could do. Last view: 74 days Awesome map screen zbyte. 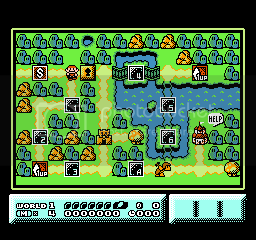 @Zbyte: I like how your world map starts on the right and goes left instead of the traditional SMB3 way, but I think it looks a tad bit too linear. I'm sure the same could be said of my maps, though, so I can't really call the kettle black here, but I do encourage you to mix it up a little more. :3 Also, is that second fortress near the end castle linked to any locks or bridges? Also, my bridges look fine to me. I wish I could give them a bit bigger of a shadow, but that's just the limitation of the 16 x 16 boundaries. They're supposed to be a more traditional wood and rope bridge; y'know, the ones in movies and old cartoons where the bad guys ALWAYS manage to corner the good guys and cut it down, leaving them suspended from the cliff? 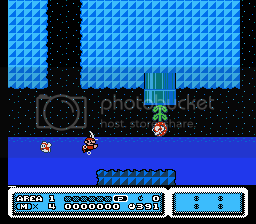 I think the "dip" is justified, as if you look at the cliffs leading from the land into the water in SMB3, they're fairly high. Just have a handful of features to add before it's complete. Okay, I get it now. Words cannot describe how good [your] graphics are! I'm not sure what you mean by "too linear" here. The path isn't crooked enough? Well, a map is what I do best. Thanks for your comments. Edit: Forgot the second fortress. I think what he means is that there isn't any choice of what levels you have to clear; once you beat level 1 you have to go onto level 2, as opposed to the original game which often gave you the option to clear either level 3 or 4, for example. @Zbyte: Yeah, Boingboing gets it. It's not that your paths aren't adequately curved; it's just that there's a noticeable lack of branching paths. Branches are good. Oh, and speaking on my bridges/graphics... I hope I didn't sound too conceited. It's just that when people challenge what I make, I usually try to defend what I did and give the thought process that went into its creation. You'd be surprised how much time I sit meticulously messing with this stuff to get it to look *just* right. I aim to please. Last view: 3460 days @Mineyl: I kind of see what zbyte means with the bridges. It's kind of hard to explain, and I know what you're going for, but they kind of grab my eyes. I'll try my best to explain why I think it's this way. 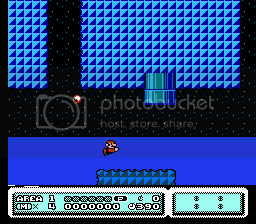 The original graphics have kind of a flattened 3/4 view, and the original bridges, which arc upward, hold to that, as you can see the top of the bridge, as well as directly under the bridge (delineated by the shadow). It's a little hard to pull that (3/4 view) off with bridges that arc down, at least with such little space. Notice the bridge in never-obsolete's first screen shot - it works, and it would continue to work if it arced down slightly, only because you can distinctly see the side of the bridge, as well as the shadow under it, which tells your eyes the correct way to perceive the bridge (particularly because of the contrast between the light color of the bridge and the dark color of the shadow, which aids in giving the impression of depth). On your bridges (and I don't mean this to be critical in any way) there is no shadow, and there is also no color contrast (insofar as the shadow), and so my eye has no immediate frame of reference to decide how to perceive the bridge, and so my immediate impression is that the bridge is actually upside-down. A: Don't arc the bridges so much, and add a shadow (esp. since a short bridge won't arc much); B: Use a higher concentration of lighter colors on the front side of the bridge than the back; C: If you want to keep the bridge arced as it is, make another special water tile below the bridge, to add the shadow. Here's A&B: Maybe darken the middle cross-beam to make it look like it's arced just a little more. Not sure if that's all too far from what you're going for, but I hope it's helpful. 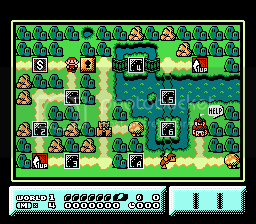 Also, you may want to tone down the green of the grass just a little if you can (not sure if you can on the NES). It might just be my screen, but it seems a touch bright to me. Otherwise, absolutely awesome. Excellent work. Erm...thank you, Dark. I'm not used to people posting such huge responses to me. I'm actually blushing. Since a second varied opinion has popped up on the bridges, I'll try tinkering with the graphic a bit more. Thank you for your concerns. Thanks, KK. I honestly prefer the "coolness" of FCEU's palette. I only used VirtuaNES for screencaps 'cause I actually knew where those screens were being saved to. xD Horrible reason, I know. From now on, I suppose I'll take screens with FCEU. It'll probably be for the best. Last view: 2657 days Mineyl: FCEU screen shots are saved by default in .\snaps by default. Last view: 3164 days First off Mineyl, that overworld is really pretty, I like it. Secondly, is that the Rondo of Blood 1-up icon? If so, even more awesome. @Trelior: Yeah, I changed the directory after finding the tab for doing so. Thanks. @Dr. Hell: Good eye. xD Yes, it's based off of the 1-up sprite in Rondo of Blood/Dracula X, 'cause those are the most awesome 1-up graphics. Ever. It's only based on it, though; I made it a point to not copy anything other than the general gist of the idea. Thought it'd work well. Last view: 1084 days Maybe I'll start with a few here. This is a beginning of a level. I don't know why the clouds in the second shot are looking like that. There is supposed to be a small Cheep-Cheep in the third. Edit: Maybe the colors should change. How about you? The flame in the first looks weird connected to the ice (remember, fire melts ice). Isn't the wall (not the cloud) cutoff in the second, third, and fourth shot? What about the pipes in third and fourth? They look awkward like that. Last view: 74 days These are the results after messing around with Matrixz's Capcom Sprite Assember. 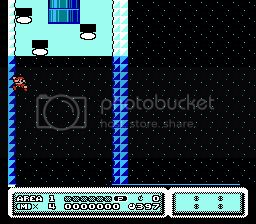 Introducing the Rockman 6 Buster Charge in my Mega Man IV hack. And a few other ASM stuff. Some coding like the Wind, Fast Scroll and the Fade are from Rock5easily. Not me. Pharoah Man's Tileset still needs to be assembled as it loads somewhat different along with other Megaman tiles. MySQL - queries: 123, rows: 164/0, time: 0.069 seconds.